Whichever path of yoga we explore, and even without ever having been involved with Yoga, every human being has questions about “life, the universe and everything”. In one of the ancient texts (Upanishad) of India, a teacher is approached by six students to answer 6 of such fundamental questions. The students are well prepared for understanding his answers. So we too, will, prepare ourselves in the workshop, by learning how to sit properly, how to focus, meditate and generally prepare our minds to understand. Then we will explore the nature of the universe, how it effects our existence right down to our body, how that understanding affects our practices, our lives and even the future beyond. 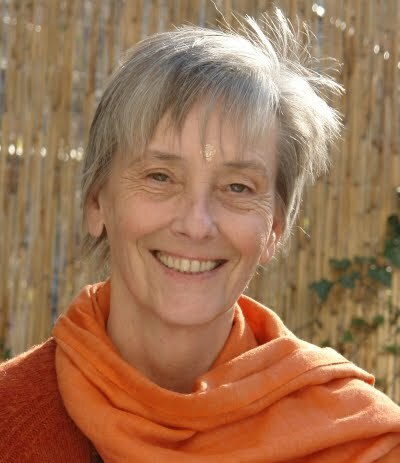 Swami Nityamuktananda Saraswati (Dr. Christa-Maria Herrmann) studied Theology, Education, Psychology, Philosophy and Art and Design (Ceramics) at various universities which was followed by extensive travel and study in Asia, Australia and America (Taoism, Zen and Tibetan Buddhism and various indigenous spiritual paths).